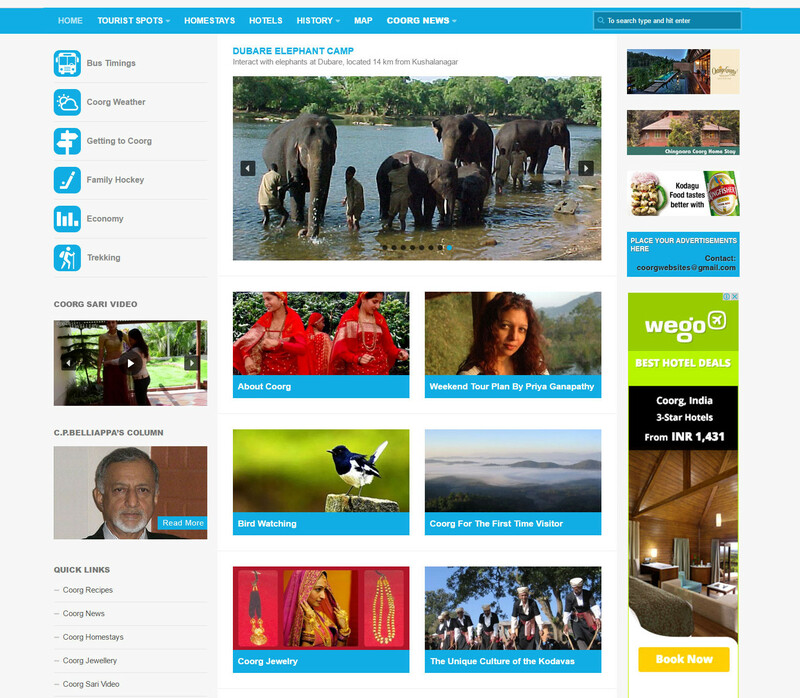 Coorg’s first news and tourism portal has a brand new look. www.CoorgTourismInfo.Com has been redesigned to make it user-friendly and tourist-centric in keeping with the fact that Coorg has emerged as the top tourist destination in South India. Another important feature of the new design is making the site mobile-friendly, as most people nowadays are using mobile phones to access websites. Unlike the old site which was text-centric, the new site has an optimum mix of both picture and text. In spite of the focus on tourism, some of the old features like the C.P. Belliappa’s column would continue. “CoorgTourismInfo.com would continue to remain the flagship among my five websites,” Bopanna added. The new design has uncluttered the archives of both Coorg news section and Belliappa’s column. Earlier, it was difficult to navigate these sections as they were on a single page. Now it is possible to access these sections with much ease. Further, now it is possible to post comments in the news archives. The redesign exercise has been powered by Bengaluru-based Credesk technology company. CHIEF MINISTER’S RELIEF FUND FOR COORG: IS THERE LACK OF TRANSPARENCY?